I came across this title on the Goodreads List below, Anticipated Literary Reads for Readers of Colour which is an excellent source for finding out books that are due to be published soon that might be written by authors from different cultures and traditions than those we generally find on the bestseller tables in bookshops. Nayomi Munaweera’s novel, at Number 2 on the list, stands out immediately with one of the most enticing covers I have seen for a long time and it lives up to that promise of an alluring appearance with a dark, mysterious reveal. The cover is an apt metaphor of the book, where water plays a significant role in multiple turning points in the novel and the image of a woman half-submerged, reminds me of that ability a person has of appearing to cope and be present on and above the surface, when beneath that calm exterior, below in the murky depths, unseen elements apply pressure, disturbing the tranquil image. The prologue mentions the maternal instinct of a mother, to sacrifice for her young, describing the aptly named moon bear due to the white shape on its chest, an animal that is hunted for medicinal purposes and capable of going to extremes in order to protect its young. Structured into five parts, the book is written in the first person by an unnamed narrator, and opens from within a cell. We understand the protagonist is a woman who for her crime often receives hate mail from mothers and marriage proposals from men. She mentions atrocities from the civil war in her home country, stories she says she was detached from, suffering that was not hers. We arrive in a hill city of Kandy in Sri Lanka where she recounts her solitary, yet idyllic childhood, among the scent of tropical gardens, a big old house, ‘sweeping emerald lawns leading down to the rushing river‘ overlooked by monsoon clouds. Her father is a historian, her mother elegant, beautiful, prone to mood swings, making her feel awkward, tongue-tied and self-conscious, unlike when she is in the garden with Samson, or in the kitchen with Sita, domestic servants with whom she feels more like herself. Lulled by lyrical descriptive prose into this dreamy, idyllic childhood, albeit with somewhat detached parents, there develops a feeling of something being not quite right, the child’s perspective clouds reality, something haunts her and the reader, a sense of unease. Tragedy hits the family and the girl and her mother move to America to live with her cousin, Aunt and Uncle. Having always looked towards her cousin as the epitome of modern, something she aspired to, it is a shock to learn of her upcoming arranged marriage, she agrees to be bridesmaid, despite strong feelings to the contrary, grateful that her mother, though troubled, knows better than to push her daughter in this direction. She will fall into the way of life of those who surround her, reinventing herself, almost becoming like one who was born there, if not for that backwash of childhood, that sometimes pushes its way back into her life, threatening to sweep her out of domestic bliss like a freak wave, dumping her mercilessly on the foreshore. As strange memories resurface, her carefully created new world begins to fall apart at the edges as she frantically tries to keep all that is precious to her together. What Lies Between Us is a powerful, accomplished novel of parts that could be stories in themselves. Munaweera’s deft, lyrical prose lulls and transports the reader into an idyllic childhood of sweet-smelling tropical scents and beauty, open vistas, an enchanted natural world, only to be pulled up short by signs of disturbance, until in an instant they become tragic. Slowly mother and daughter adapt to the new way of life, except the past will never leave them, it haunts them, consciously and sub-consciously, destroying precious moments and threatening to derail their lives completely. Like Toni Morrison’s God Help the Child it is a novel highlighting the effect of childhood on an adult, how the past continues to affect the present and can take everyone along with it. It blinds us, and like an invisible cloak with far-reaching tentacles, it can reach into every pocket of our lives, dampening and rotting the good. Heartbreaking, compelling, so unfair, it is also a story representing the very real cost of ignoring mild disturbances of mental health, portraying how easily they can evolve and transform into horrific tragedy, when left untreated or ignored, not to mention how unforgiving and despicable humanity can be in dealing with those affected by it. Nayomi Munaweera’s debut novel, Island of a Thousand Mirrors was long-listed for the Man Asia Literary Prize and the Dublin IMPAC Prize. It won the Commonwealth Regional Prize for Asia. I’ve ordered a copy and plan to read it this year as well. She and her family left war-torn Sri Lanka when she was three years old and moved to Nigeria and eventually to America. This entry was posted in Fiction, Sri Lankan Literature and tagged book review, books, culture, family, humanity, immigrant experience, literary fiction, Mothers and Daughters, Nayomi Munaweera, Sri Lanka, What Lies Between Us, women. Bookmark the permalink. I’ve been wanting to read this since I read Island of A Thousand Mirrors last month. Glad to hear that this second book of hers is highly recommended by you! Thank you so much Deepika for your own thoughtful comments and loyal following, I thought this was an incredibly moving novel and I will most certainly reading her other work. Even though in parts it is heart-breaking, the prose is so transportative (if that is a word! ), it feels as if you are really there. I have loved many books only for its transportative prose. Perhaps, those are the books that stay with me. I really look forward to reading this. Lovely review. Those quotes point to really good writing. An author I hadn’t heard of I will look out for her. I seem to have missed her previous work too Ali and admit that the cover really makes it stand out and then when I read more about the author, I couldn’t believe I had missed her earlier work. 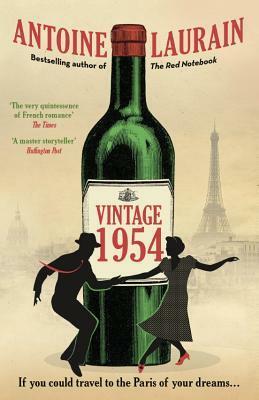 It will be interesting to see if this novel ends up on some award lists, I certainly hope so. When I went to add this to my wishlist at Goodreads (thank you for an enticing review) I discovered that I have Island of a Thousand Mirrors on my TBR. Where on earth have I put it?? I think you might want to find it! I seemed to have missed her on that round, but have now got myself a copy, this book was incredible, the writing so self assured and accomplished, a slow reveal, it felt so real, making it all the more tense in the revelations. I’m really cross with myself. I must have bought it when it was longlisted, but it’s not on the shelf where it should be …. I’ve just done an early spring clean of the shelves myself, amazing how many were hidden from view and thus mind! Wonderful review Claire, the quotes you pulled out were stunning. I’ve not heard of this author but I will certainly look out for her now. I’m so glad that the quotes help to give an impression of the book, they really stood out for me and so many more that were beautiful as well as insightful, I hope you get to read it. I haven’t read her first book yet, and I didn’t realize she had another one out already. It sounds wonderful. I’ll be waiting to hear how you think it compares to her first! Likewise, I hope you read the first one too, I think it’s a bit of a tough read too, but she has a deft writing style for dealing with tough subjects. Excellent review, and thank you for sharing another wonderful author who isn’t from a WAS(P) background. I’ll be looking out for Munaweera’s books! My pleasure, I hope you seek her out, I’m really happy to have come across her work and look forward to reading Island of a Thousand Mirrors as well. A Fantastic review, it really grabbed me and also made me wish my wages would turn up quicker. Having not heard of her, I now think this book needs to be on my shelf STAT, although I suspect a less thoughtful reviewer wouldn’t do the book half as much justice as you have. Yes I’m sorry it’s a new book SteJ so might be a little while before the paperbacks hit the shelves, but there’s always her first book which I managed to get hold of a copy of and will also be reading this year, watch this space! That explains why my scouring of bookshops was a failure the other day. It has been a while since I have been compelled to go seek a book out, although my blinkers were on to avoid all the other bookish distractions about. Sadly I didn’t see her first book either but I will wait for your review first because I’m polite. Thank you for such an eloquent and illuminating review. I have added this book to my TBR and will definitely review it this year. Thank you for the kind words and love to hear that its made your TBR pile for 2016, I look forward to what you make of it, I love her writing, even if some of the subjects she tackles are tough to bear. I have read her first novel and loved it immensely. This article takes me to the second. I have already ordered my copy.